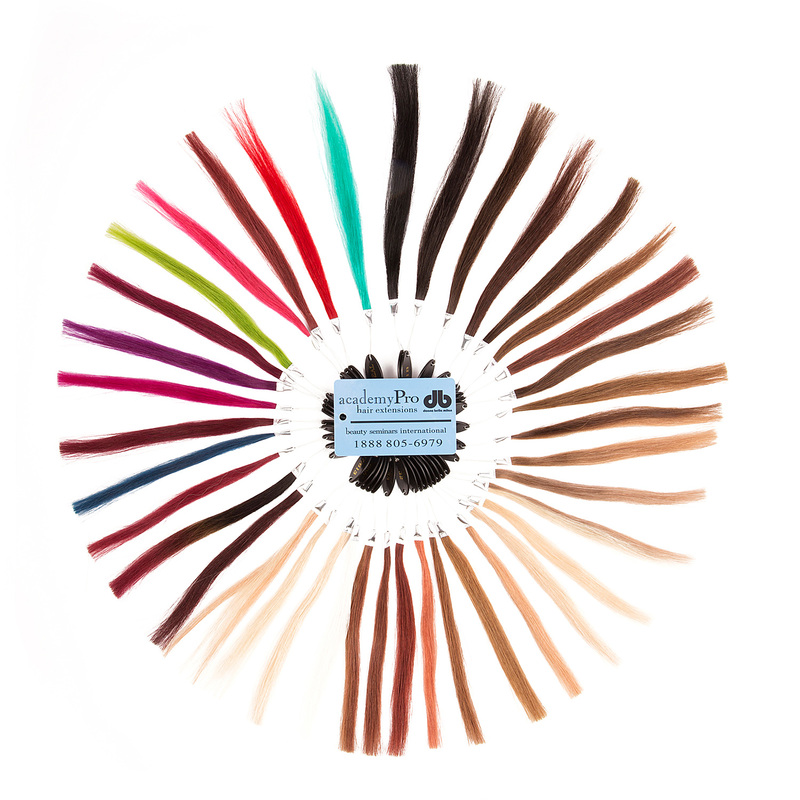 Find the perfect match from one of Academy PRO Hair's 41 colors of hair extensions. Finding the right hair color is easy when you have the actual hair on-hand. Show your clients your Color Ring to guide them to the best shade for their specific needs. The samples are made from high-quality Academy PRO hair so you can touch and feel the exact products. Easy to hold, store, and share.